Hillside Drive is a unique street with a discontinuous roadway and has been described by its residents as East York’s hidden gem, an oasis in the city and feeling like a small town that is private yet open. 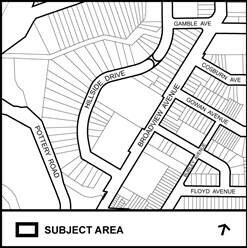 Hillside Drive is currently the subject of a City Planning coordinated review for future streetscape improvements. A Final Report was considered by Toronto and East York Community Council on January 19, 2016 and was adopted with amendments. It was then considered by City Council on February 3, 2016. More information about the Council Decision can be found at the following link, as well as the Staff Report.